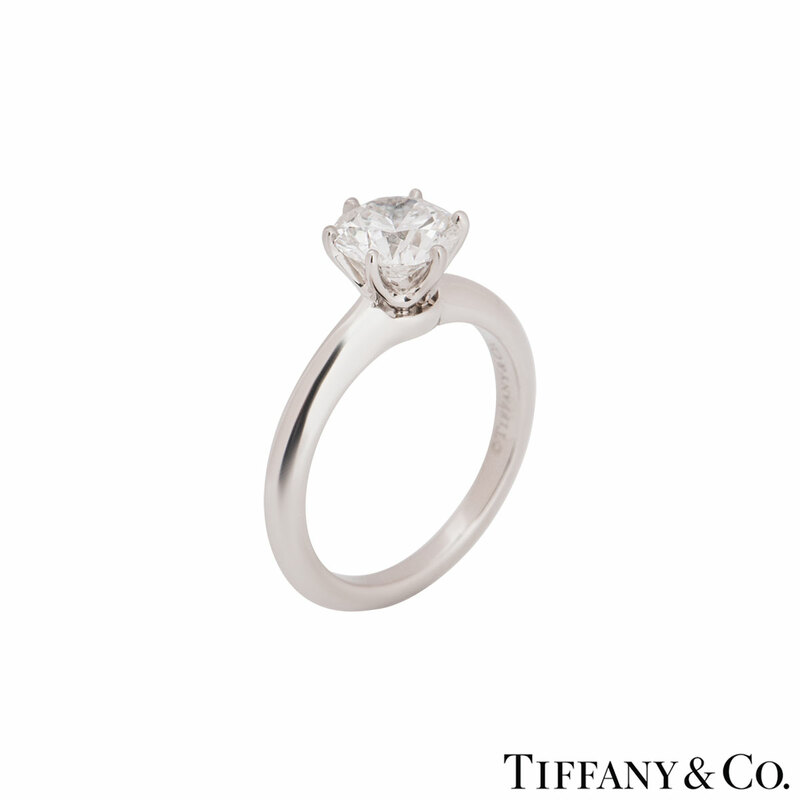 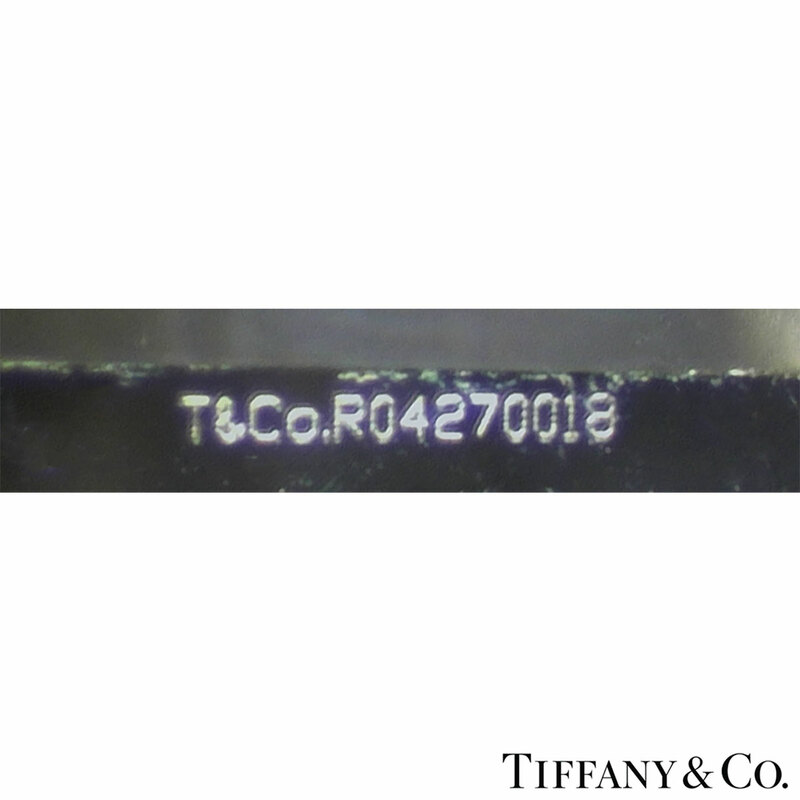 A beautiful platinum diamond ring by Tiffany & Co. from the Setting collection. 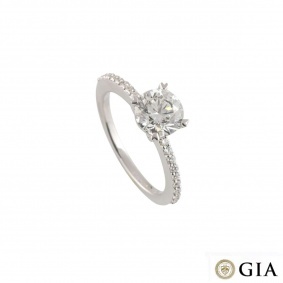 The ring comprises of a round brilliant cut diamond in a 6 claw setting with a weight of 1.42ct, G colour and VS2 clarity. 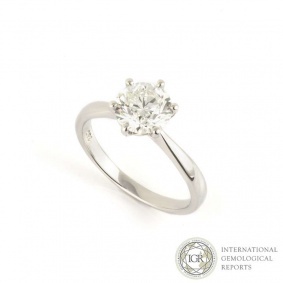 The diamond scores an excellent rating in all three aspects for cut, polish and symmetry - this is known as a 'triple excellent' diamond. 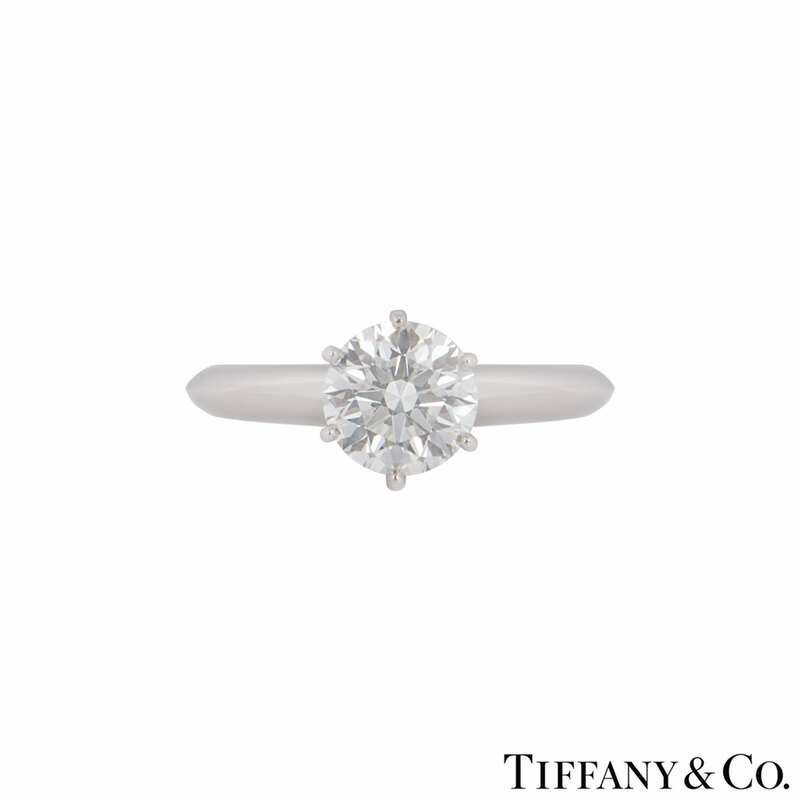 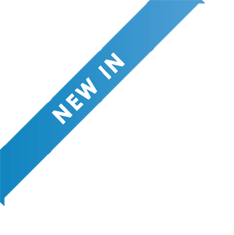 The ring is a size L½ but can be adjusted for a perfect fit and has a gross weight of 6.00 grams. 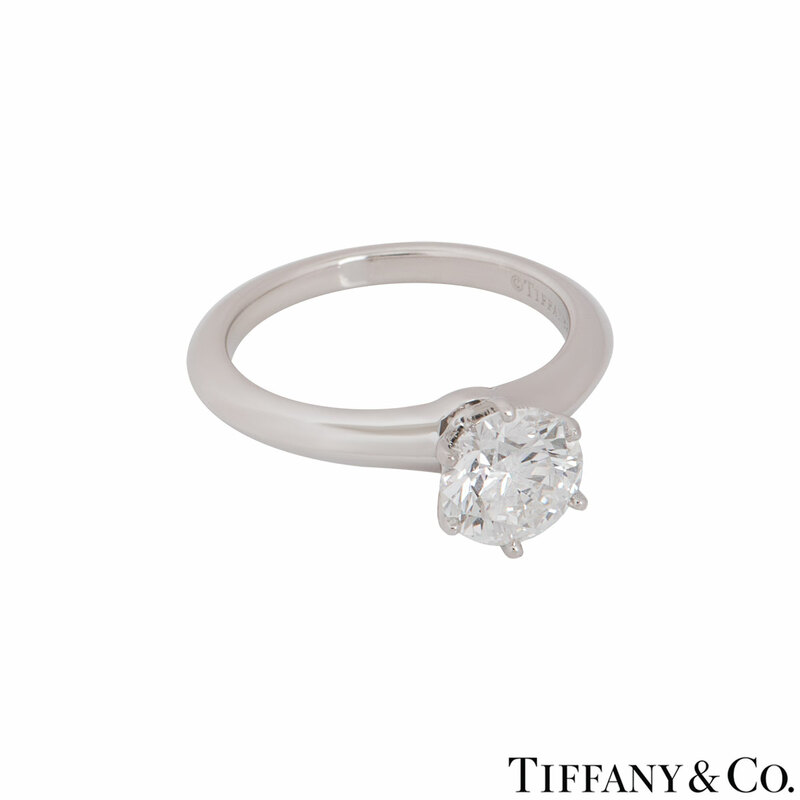 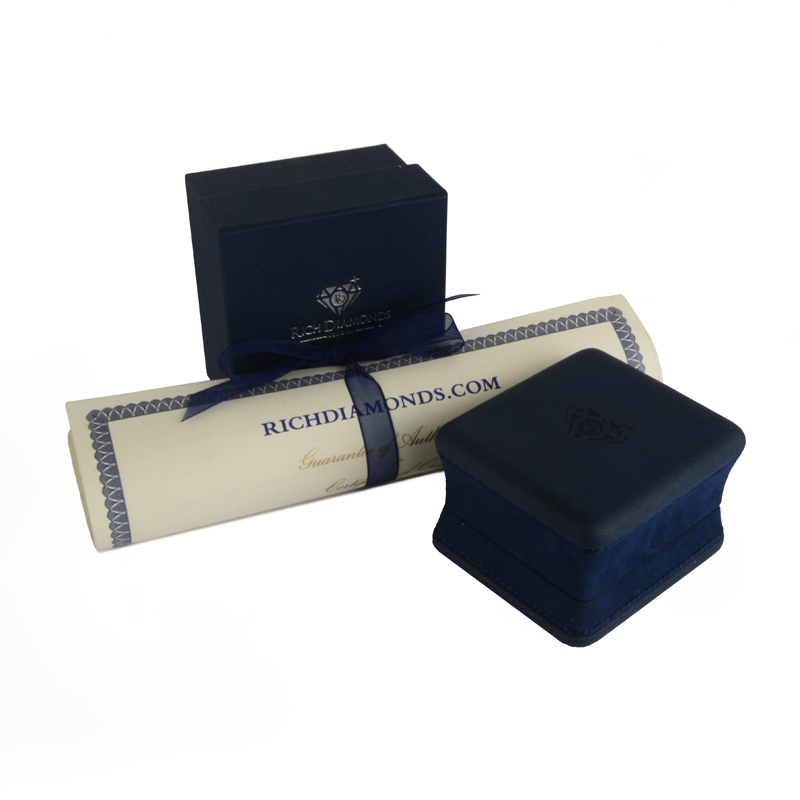 The ring comes complete with a Tiffany & Co. presentation box and Tiffany & Co. diamond report.